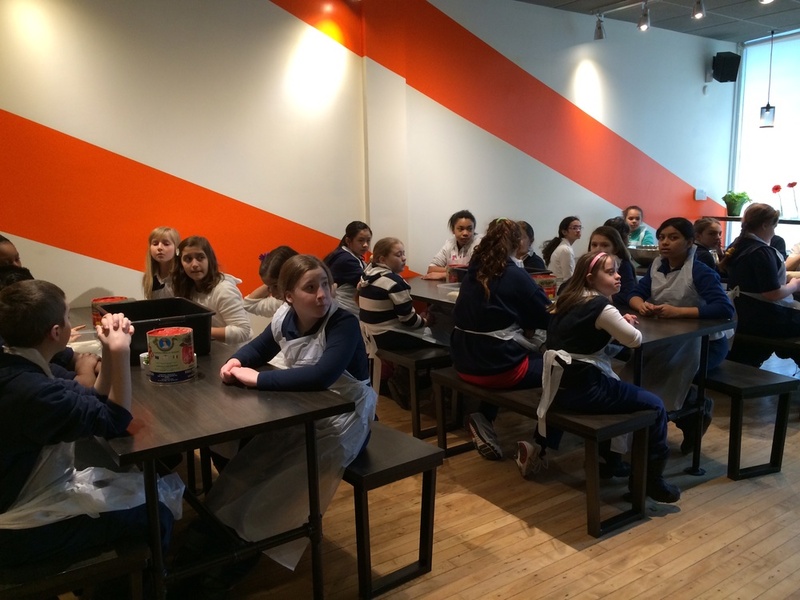 OMG .... today we hosted Christ the King's Grade 5 class. We wanted to get involved in the community and what better way than help educate kids. 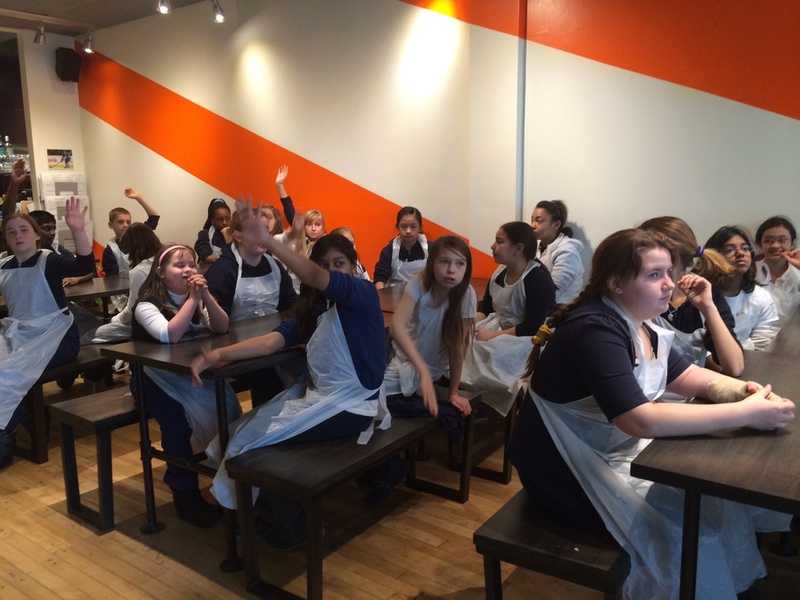 The morning started off at 9am with some facts about pizza and 850 degrees. 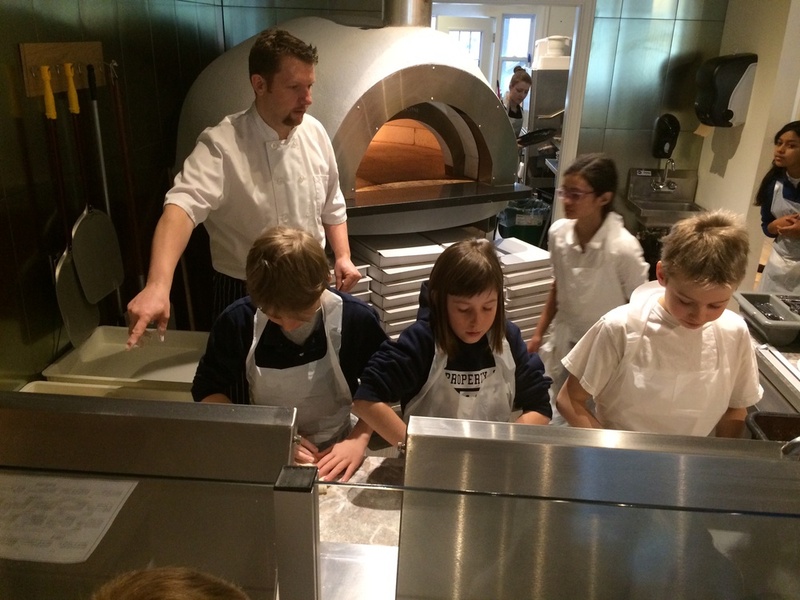 (the combined weight of the pupils is only half the weight of the oven). Then we went onto some blind tasting of ingredients, Capers, Artichokes, Wild mushrooms and Goats cheese to name a few .... Congratulation table 3 !!! 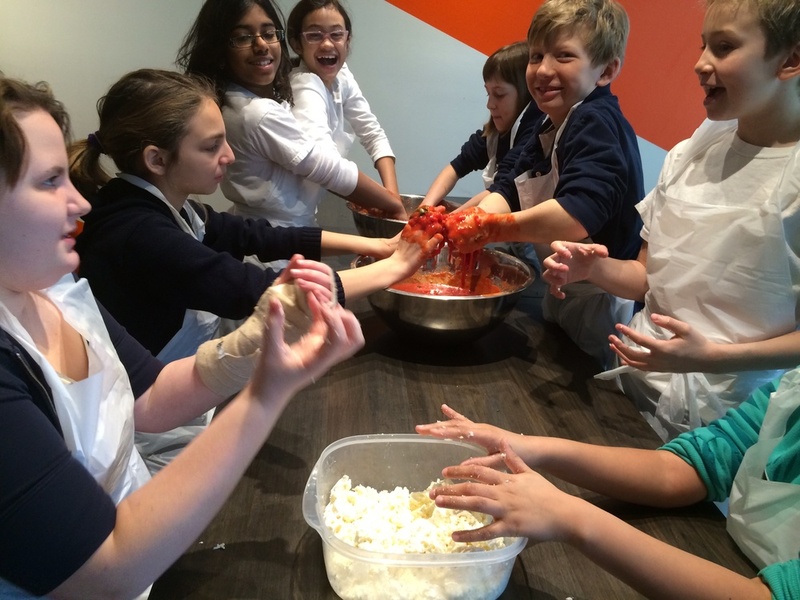 Then the squishing of the Tomatoes for the pizza sauce and Cheese ( knives not allowed), followed by the pizza making. I have never seen so many different shaped pizzas in all my life. The pizzas were washed down by litres of lemoned water. The meal was then finished off with small piece of chocolate cake. What an amazing group of kids... well mannered, fun and helpful. 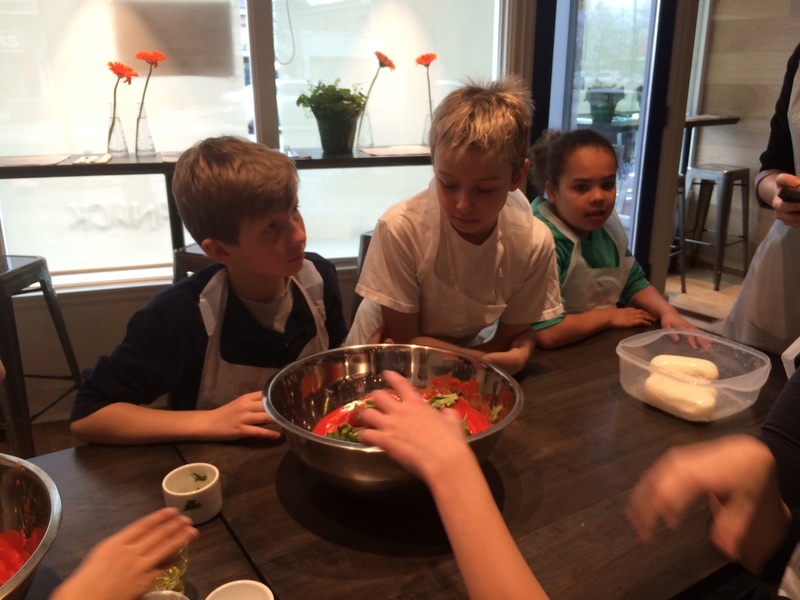 Exploring and making food can be great fun, It looks like this grade 5 class had plenty of that.